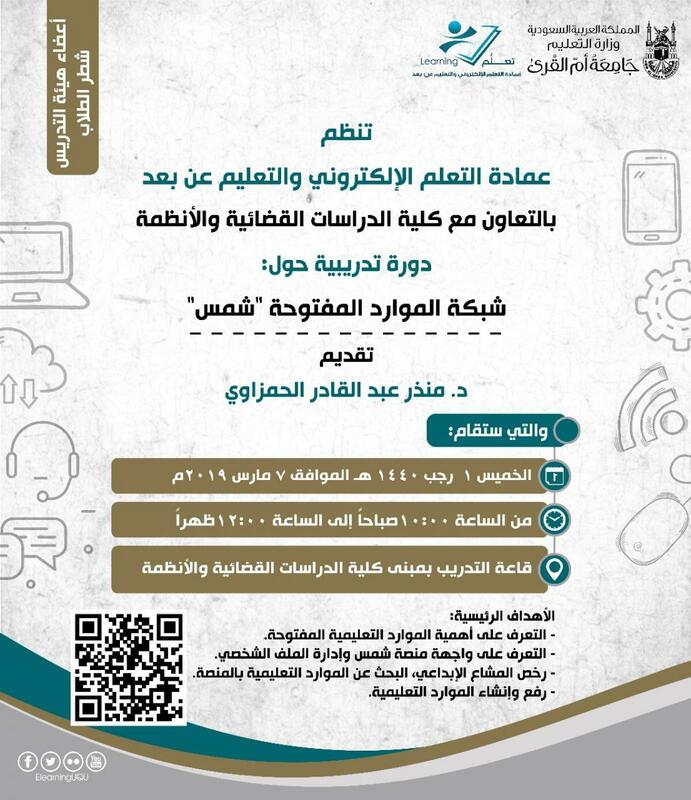 In the framework of defining the importance of the open educational resources and the benefits of sharing scientific and academic work within the academic community, a training course on the first portfolio of the Saudi Open Educational Resources Platform (SHMS) was held at the College of Judicial Studies and Regulations. 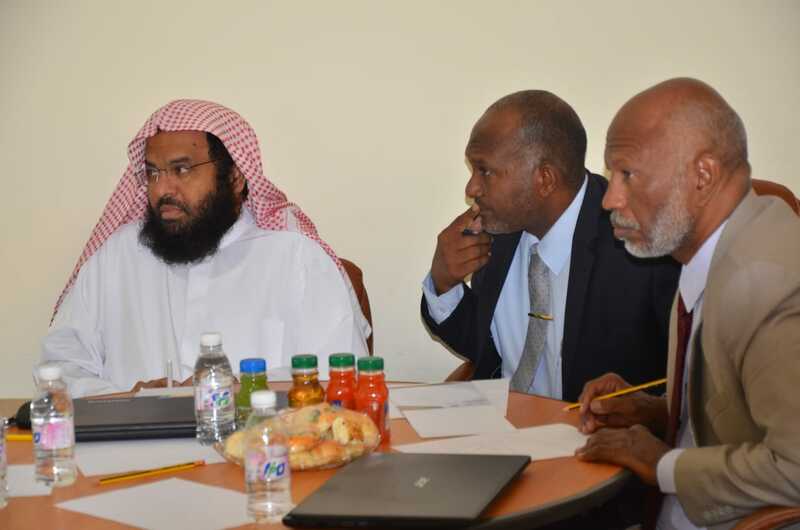 The course was delivered on Thursday, 30 Jumada Al-Thani, 1440 A.H., corresponding to 7 March 2019 A.C., by Dr. Munzir Abdul-Qadir Al-Hamzawi from the Deanship of E-Learning and Distance Education. This course was held under the auspices of His Excellency the Dean of the College of Judicial Studies and Regulations, Saud bin Ibrahim Al-Shuraim, and in the presence of the Vice Dean for Educational Affairs, Dr. Ali bin Ahmad Al-Hudhaifi, and the Head of the Regulations Department, His Excellency Dr. Muhammad bin Rizqallah Al-Salmi, along with a number of academic staff from various departments of the college. 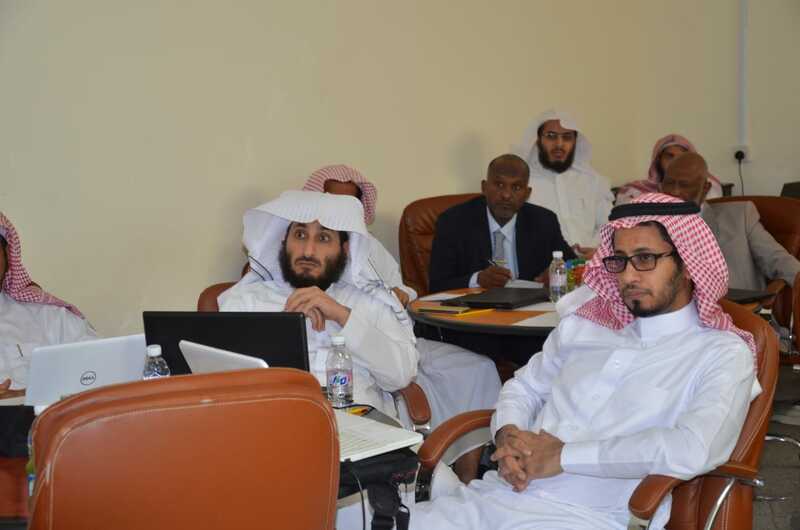 The course touched on the importance of open educational resources and its advantages for students and academic staff. The course also tackled the definition and the characteristics of Creative Common licenses. 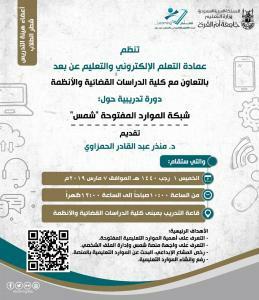 Moreover, it introduced the Saudi Open Educational Resources Platform (SHMS), and how to register and manage a personal profile on the platform, search for educational resources on the platform, and upload and create educational resources.